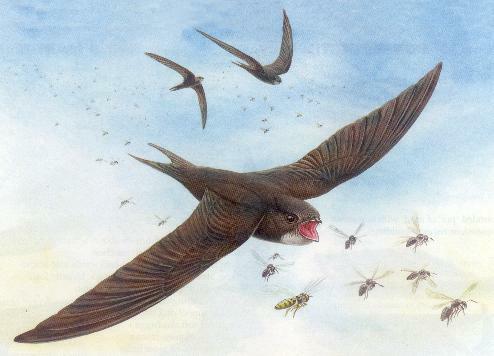 (1945hrs) 16 Swifts flying above Main St with 12 flying between Memorial Hall and over the Royal with two of these seen to enter nest holes in the rear annexe to the Royal. Also a further 4 at least flying over the area between the Manor House and the Kings Arms. (2015hrs) GOOD NEWS! At long last we now have 15 birds in the skies over Main Street between the Memorial Hall to the Manor House. (0945hrs) Just had two birds which came from out of the front elevation eaves at the Royal Cottage. One single seen earlier high above Neddy Hill could well have been one of these birds - not sure, but the skies were rather birdless this morning. (2000hrs) Just two Swifts seen high above Memorial Hall. 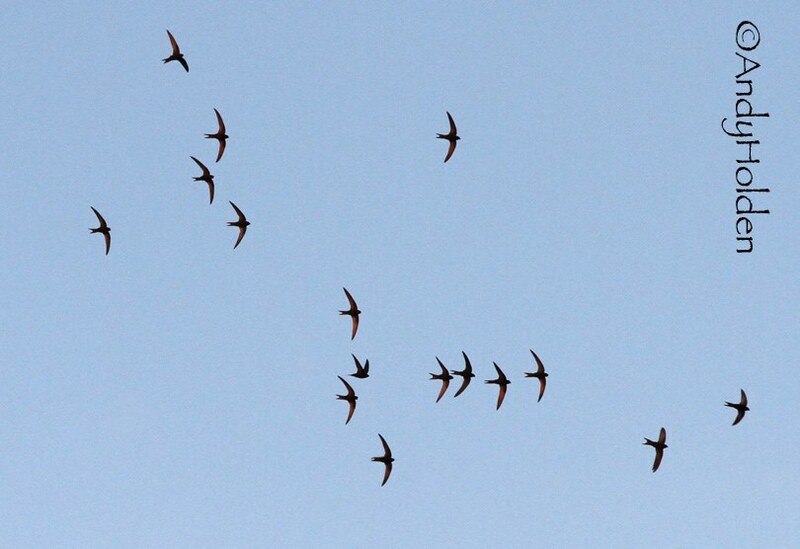 (1300hrs) 3 Swifts chasing one another and screaming at the back of the Royal Area. (1930hrs) Two birds flying around the Royal rear elevations. Then watch has both birds went into a old nesting site we have down from a few years ago on the rear of the side elevation of the main building which goes up Boon Town Lane (witnessed from up near the Bowling Green facility) the birds both left the area after about 20 seconds or so. No more birds reported. (2100hrs) One noticed flying low to the back of the Royal Annexe. (1045hrs) Still just two Swifts seen high over Burton Memorial Hall. (2000hrs) Just two Swifts seen high over Burton Memorial Hall. (0910hrs) Two of our Swifts were seen to leave the upper eaves on the front LH to middle of the Royal Hotel. Both birds left simultaneously and were about two metres apart. First four Swifts are back in the village and witnessed at around 1930hrs. They were seen high to medium above the Manor House and the Royal Hotel Cottage. One appeared to enter the eaves to the LH front of the eaves on the Cottage but this was not confirmed.